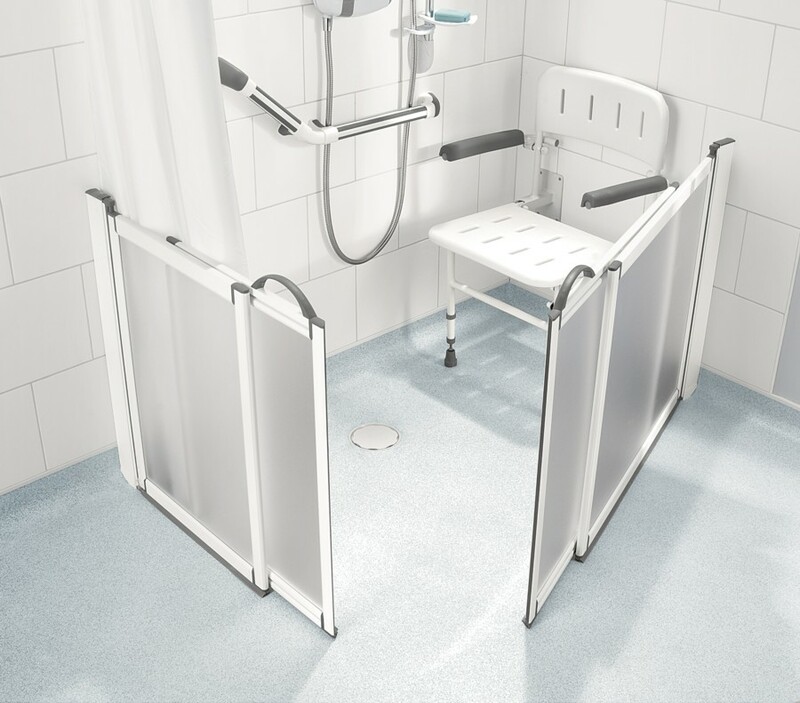 Do you provide or receive assistance during showering? 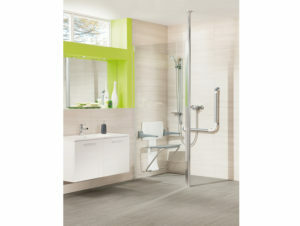 Then the Impey half height shower doors range will be the ideal shower enclosure for you. The doors are 750mm tall. 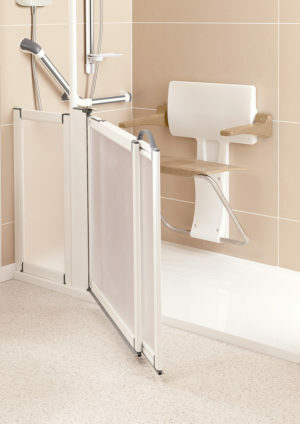 This is an ideal height to allow a carer to assist you whilst you are showering, whilst themselves being protected from the shower spray. 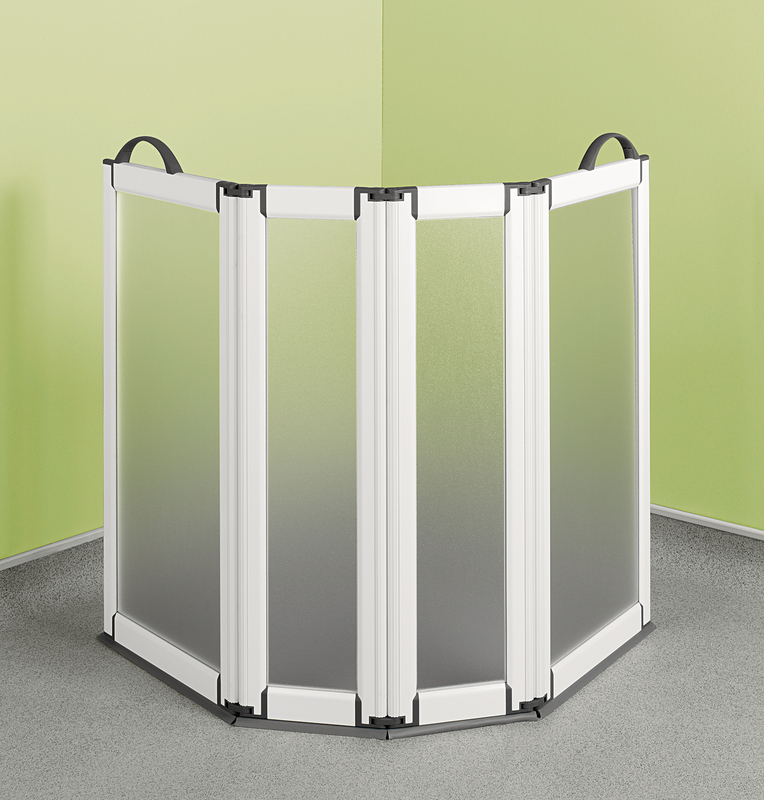 The doors and screens are beautifully finished in white powder coated aluminium. 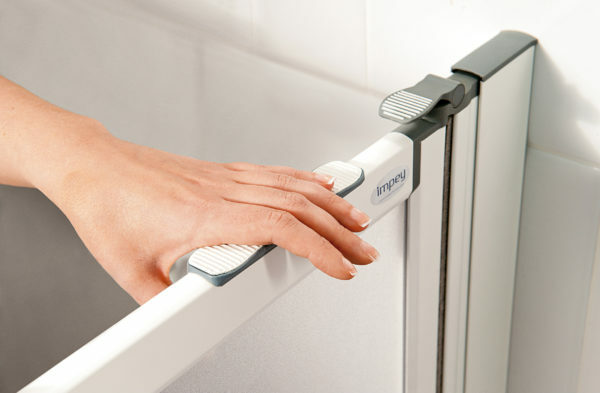 They have frosted anti-shatter panels, and are very robust. 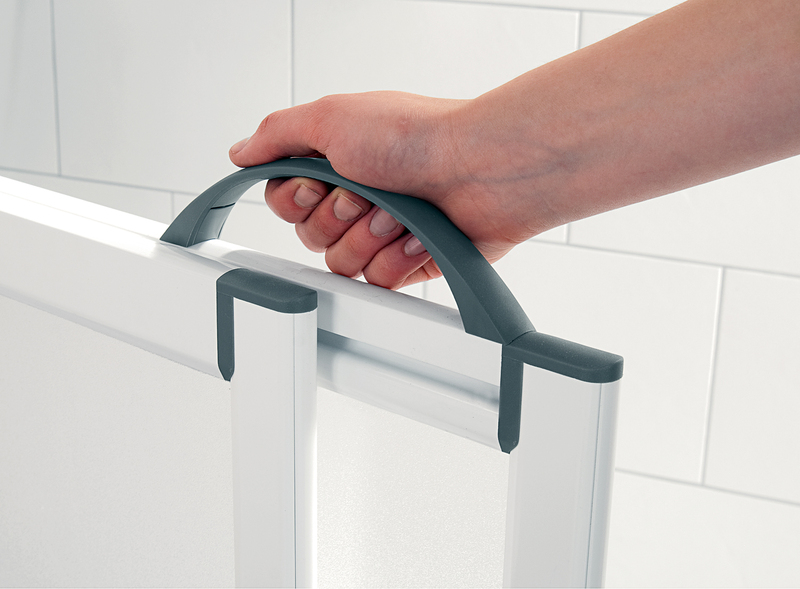 The doors lift up as they open, so the seals do not run on the tray or floor. Certain configurations are also available in satin silver – please call for details. You can choose from a wide variety of standard sizes and configurations to suit most requirements. 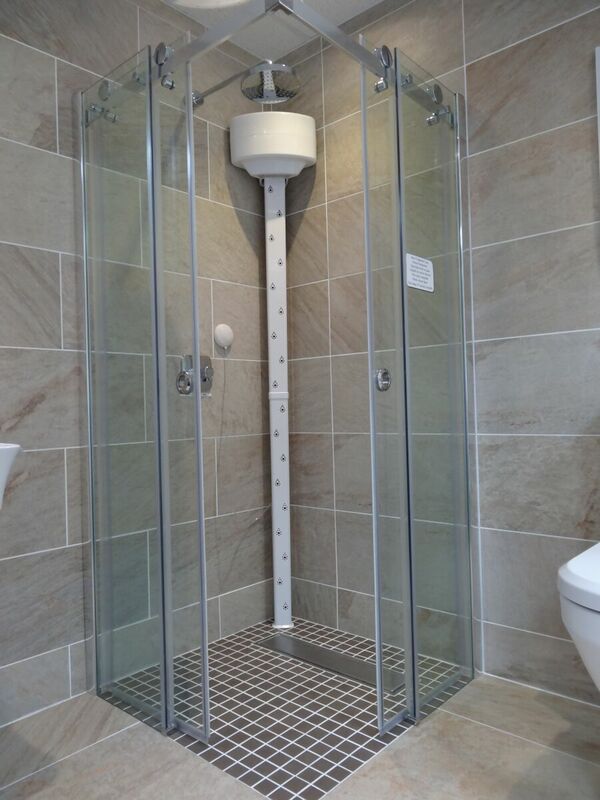 If you have a particularly high ceiling, as may be found in older properties, then a floor to ceiling pole extension piece could be required. The standard pole is 2.5 metres. And if a standard arrangement won’t work for you, then we can make custom configurations to your instructions. 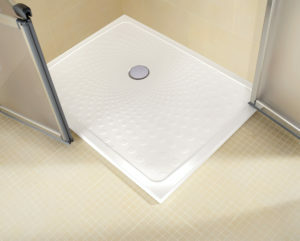 You can use the enclosures with shower trays or on wet floors, with or without curtains. 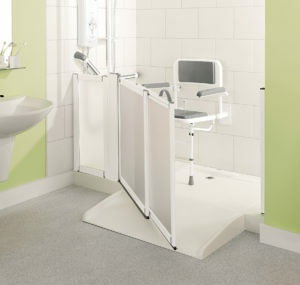 Please call to discuss your particular requirement and we’ll be pleased to assist. 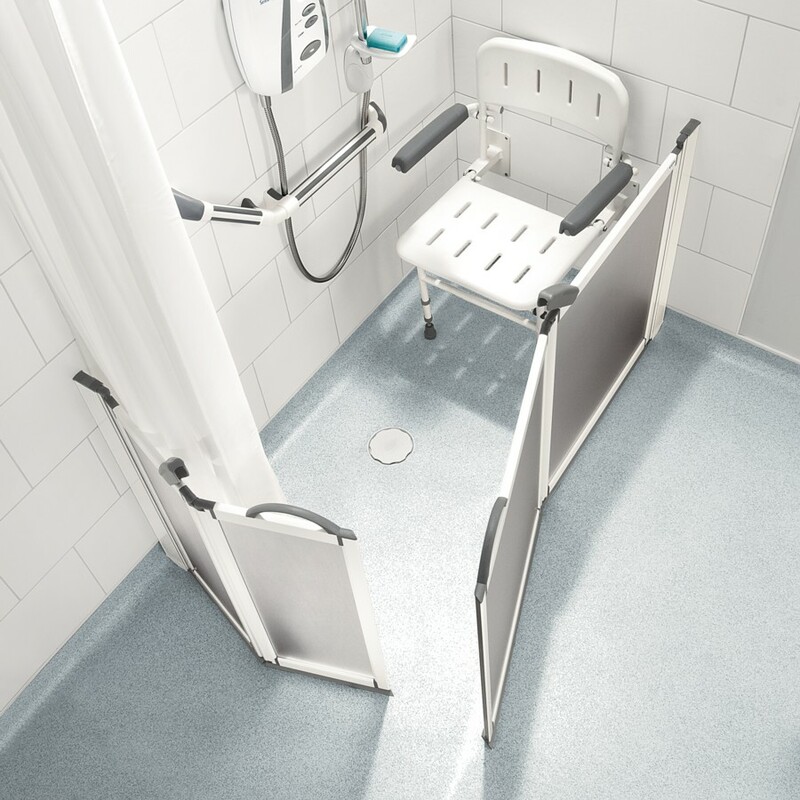 Impey shower enclosures are suitable for domestic or commercial environments. We supply various Councils and care homes, so you may be assured of the quality of these products. 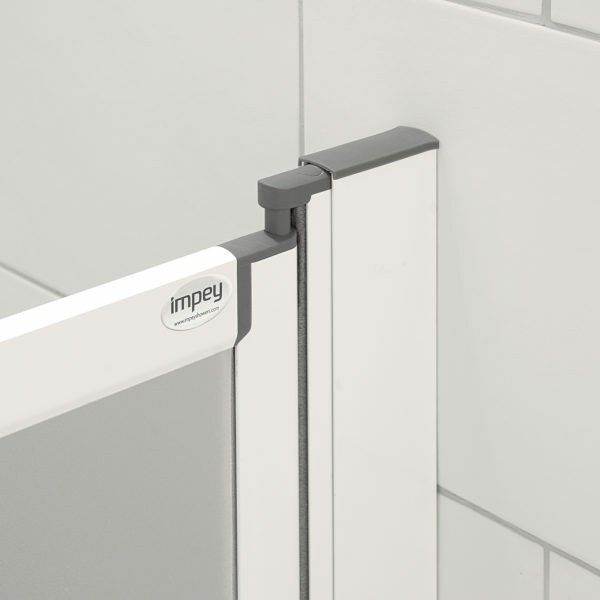 We offer the full range of Impey half height shower enclosures – including bifold doors, sliding doors, fixed panels, air assisted doors and free standing screens. 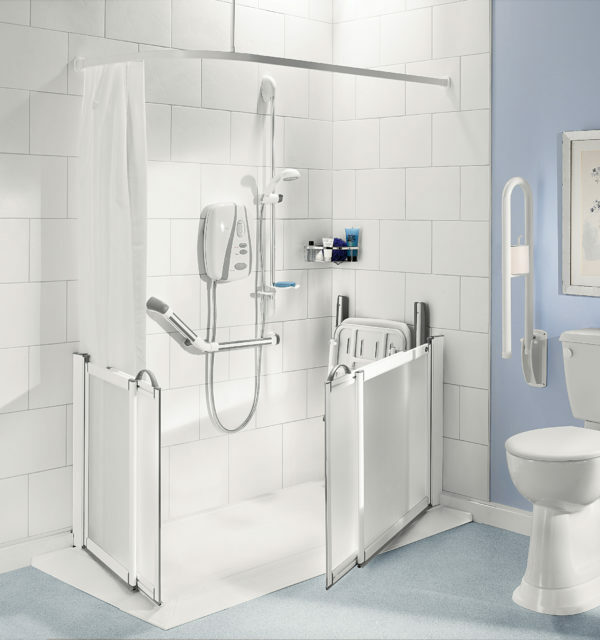 Please call to discuss prices and for your FREE brochure. Please see our shower trays and shower seating to complete your shower installation. Impey half height shower doors – practical and stylish!